Our range of products include alloy steel pipes, nickel alloy sheet and plate, alloy pipe, alloy steel flanges, alloy steel plates and alloy plates. We provide optimum quality range of Alloy Steel Pipes in wide varieties of sizes and shapes. These advanced quality products are highly strong and are welded using best techniques for long sustainability. Our products are highly acknowledged and are acquired from the best vendors of the market. These are nominal in price and are offered in huge bulk amount. Nandishwar steel is engaged in the supply of Nickel Alloy Sheet and Plate. 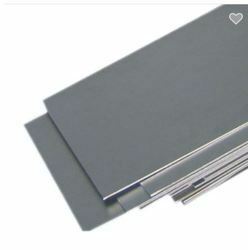 1 Cupro Nickel Hastelloy Nickel Monel Inconel Alloy 20 Duplex 1000 mm x 2000 mm 1220 mm x 2440 mm (4' x 8') 1250 mm x 2500 mm 1500 mm x 3000 mm 2000 mm x 2000 mm 2000 mm x 4000 mm 0.1 mm to 12 mm Thk. IS BS ASTM UNS I Imported & Indian Mfg. Copper Nickel Alloy In Grade Cupro Nickel (90/10, 70/30), Hastelloy (C-4, C-22, C276, B-2), Nickel (200 / 201 / 205), Monel (K400 & K500), Inconel (600, 601, 625 & 825), Incoloy (800, 800H), Alloy 20, Titanium, Tungsten, Moly, Kanthal, Nimonic Nichrome, Cobalt, Sanicro (28, SS 904L) Etc. Value Added Service Anneling, Pickling, Rolling, Cutting, Bending, Forging, Minor Fabrication Etc. 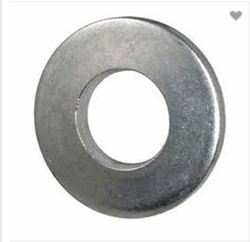 Nandishwar steel deals in a quality gamut of Alloy Steel Flanges. These flanges are offered by us in market at reasonable rates. Grade F5, F9, F11, F12, F21, F22 & F91. Combining the highest quality of materials and sophisticated technology, We are presenting Alloy Plates that are made with supreme quality. Available in different grades and configurations, the Alloy Plates manufactured by us hold high tensile strength and possess longer service life. Our complete in house facilities for quality check with all inspection requirements ensure the product range to an excellent standard of quality and performance. Alloy Steel Bars are frequently used in diverse industries for the features like longer service life, for its easy installation, reliability and optimum functionality. We fabricate these products using premium quality raw material based on highly advanced machines in accordance with the quality standards. These are obtainable in various stipulations to meet the demands of several industry applications. 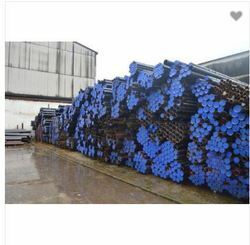 Alloy Steel ElbowAsk for PriceWith the reliable and well-organized distribution network, we manufacture and export Alloy Steel Elbow across the world. Our product is noted for its stability. We manufactured using best quality materials, which are in compliance with international quality standards.We offer them at a wide range of shapes and sizes in accordance with the huge industrial requirements. 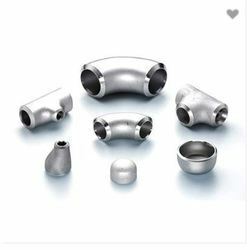 Because of our vast experience, we have been successful in catering to the requirements of our esteemed clients by offering a qualitative range of Alloy Steel Pipe Fittings. 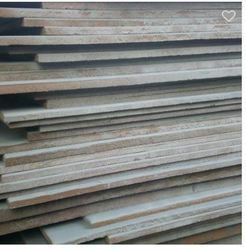 These products are procured from the authorized dealers of the market, who manufacture this range using qualitative raw-material in accordance with the industry set quality parameters. We manufacture and export a wide range of Nickel Alloy Bars that are fabricated and possess reliable performance. The offered bars are available in many specifications to help meet the requirements of clients. Our range of nickel alloy bars is manufactured using high quality raw materials for durability, robustness and excellent performance. Nandishwar steel bring forth a wide range of alloy steel pipes and tubes that are manufactured using premium quality of steel. The raw materials used are first checked before being used in the manufacturing plant. With a keen perception of the market trends and with a far sight vision, we are efficient in offering defect free Alloy Steel Tube. 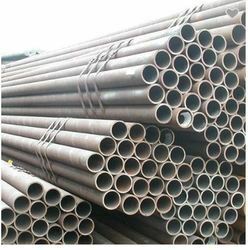 Used in various industries like construction, this tube is manufactured using high grade alloy steel at vendors’ end. In mind numerous requirements of our clients, we provide this tube in several specifications and at nominal prices. ASTM A 213 T-11, T-22, 1-5, T-9, 1-91 etc with IBR certificate, Original will test certificate, LLOYDS/BV certificate etc. Precisely produced Alloy Tube is presenting by us to the customers at most reasonable rates. Our Alloy Tube is outstanding for heat exchangers in the various industries such as chemical processing, nuclear and many more. 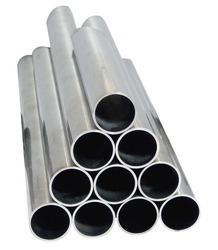 Also, our Alloy Tube is corrosion resistant and highly reliable. 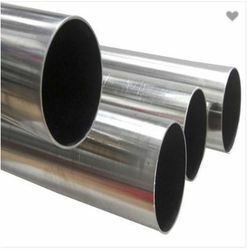 Specifications: Grades: 1008/1010, A500 Gr B, HSLA Gr 70Type: CREW, HREWWidths 0.5" thru 20"Wall Thickness: up to 0.5"
Nandishwar Steel offers a qualitative range of Titanium Pipe Tube . They are superior in terms of quality and designed as per the convenience of the user. 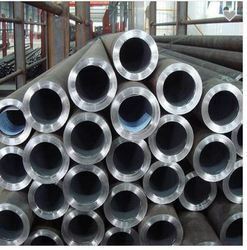 We assure our clients that our Titanium Pipe Tube will give long service life to the user. Superior quality of raw material is used to manufacture our entire product range. We delivered our assignments in a committed time period using customized packaging.